Birthmark is simply defined as the marking on the skin which is present at birth. A birthmark can develop before the baby born or develop right after the birth. Birthmarks are not necessarily identical in different people. In some people, they appear as a sigh on beauty while for many others it is nothing more than a curse. Science has yet not able to define the exact cause of birthmark appearances. However, many face readers are of the view that the presence of birthmarks on the skin carries some meaning. Birthmarks are most common in Caucasians than Black or Asians. From medical standpoint, birthmarks are actually a mark that appears on the skin of a baby before birth. Some stay for lifetime and some fade away with time. Some of the most commonly known birthmarks are given below which are remarkably different from each other in many ways. These are natural and occur for some unknown reasons on the skin. Let us have a brief look on them. 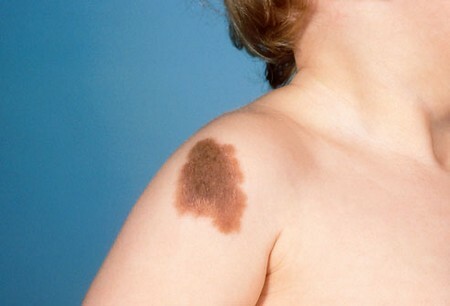 A common type of birthmark excessively found on the human skins. These birthmarks can develop soon after the birth or might appear later at some stage of childhood. They are flat, round or oval with a light brown feel. This birthmark is found in almost all the humans. However, if these appear uncommonly on the child’s skin, you need to consult the doctor. These birthmarks are normally considered as permanent marks which don’t disappear. These birthmarks are given their name after the Mongolians. These are blue in color having wavy borders with irregular shape. These birthmarks are blue in color because of the presence of melanocytes deep under the skin which are rich in melanin. These birthmarks usually appear on the lower body and often on shoulders. Although, these are mostly blue in color, some are found in deep brown, bluish black and bluish gray colors. These birthmarks are congenital pale pink marks which become more prominent and deep over time and change into thick red wine color. This is why these are called wine stain. These birthmarks are rare and only 0.3% of the total population is affected by them. They usually appear because of the deficiency or absence of a nerve supply in blood vessels. 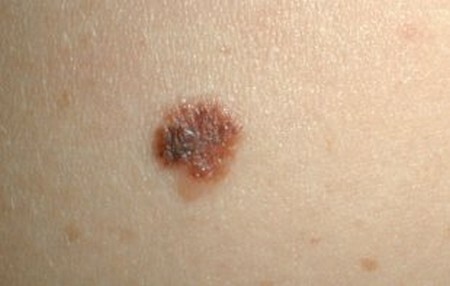 Over time, these birthmarks often take the form of bumps and may become the cause of social or emotional consequences. It is another congenital birthmark that appears in almost 1% of all the American infants. It most commonly appears on the head or neck, but can appear on other parts of the body as well. In the people with fair skin, this birthmark appears to have light brown feel while in people with dark complexions, it has darker feel. It can be flat, lumpy, or raised with irregular shape. 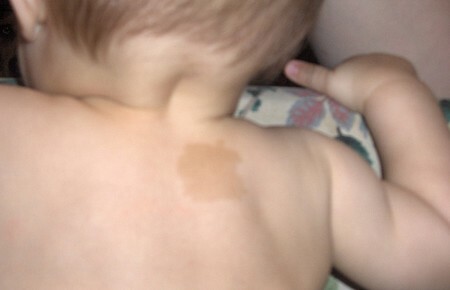 Other common names for this birthmark include Angel’s kiss or Salmon patch. Its occurrence rate is about 50% among the infants. It is a flat, irregular and pink tan in texture. This birthmark mostly appears on the knees, forehead, on back of the neck, eyelids and upper lip. It is perhaps one of the most admired birthmarks among many others. It is a considered as a blessing. A silver colored streak appears in the childhood which makes people proud of it as they grow young. It usually appears in the front part of the hairline which brings along a mysterious and charismatic feel. This silver streak is often referred to as witch’s streak. This birthmark is hereditary in nature and known to be the most renowned birthmark. These birthmarks also occur in infants at the time of birth. They are hairy skin moles which appear in light brown to black color. These birthmarks also have a varied size that ranges from small to very large. Although, most of them appear in a small size, but there are few which are quite large. Those who have large pigmented nevi birthmark are advised to consult the physician. It is kind of vascular birthmark that develops before the birth of the baby. There are many myths associated with strawberry hemangioma. One of which suggests that this birthmark appears on the skin of the baby whose mother wish to eat strawberries at some point of pregnancy wasn’t accomplished. This birthmark appears like a soft reddish swelling on the skin which resembles to a strawberry. Some of them disappear over time while some remain forever and require surgery to eradicate. Above mentioned are some of the most commonly known birthmarks. There are many others which appear before or after the birth of the baby. The cause of their appearance is yet to be discovered. Birthmarks are usually become the symbol of identity for many of the people and they don’t feel embarrassed by showing them to others, but there are many who don’t like the marks on their skin and feel uncomfortable with them. One should learn to live with them as these are parts of our body.